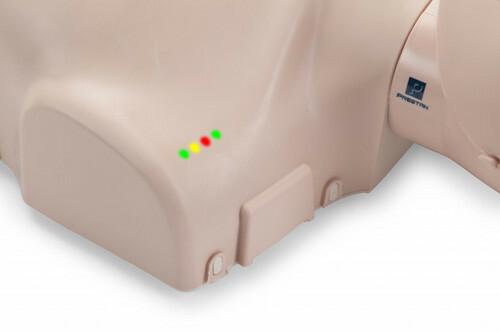 The Prestan Child Manikin with CPR Monitor offers instant feedback regarding the rate of chest compressions during CPR. This realistic CPR manikin includes child manikin with CPR monitor, 10 face shields/lung bags, carrying case, and instruction sheet. 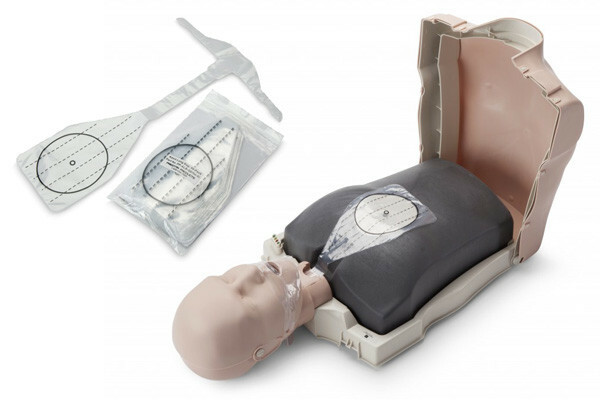 Prestan's child training manikin with CPR Rate Monitor allows for instant feedback to both instructor and student regarding the rate of chest compression. This allows each student to gauge their rate of compressions on their own as well as allowing the instructor to monitor several students quickly and easily. Realistic to the eye and the touch. Prestan manikins are uniquely designed as a clam shell that accommodates an easy-to-insert face shield/lung bag. Includes: Child Manikin with CPR monitor, 10 Infant Face-Shield-Lung bags, Nylon carrying case, and Instruction Sheet.